Great payouts, impressive interface plus a rich selection of assets to trade on – there’s no reason to look further. With One Two Trade’s asset index, you’ve got an all-inclusive selection of underlying assets. Hundreds of assets from different markets including stocks, currencies, commodities and indices are in store for you. Our asset index is continuously growing, thus, traders have more option to choose from. Take a peek on our extensive collection and select the asset of your choice. What are the available assets? When creating a SmartOption, you will find a variety of assets from One Two Trade’s asset index. To date, we offer 56 stocks, which is among the highest among broker platforms. This list includes several top-traded stocks such as Microsoft, Google, Apple, JP Morgan Chase and Yahoo! We also feature some of the newest stocks in the market like Metro Goldwyn Mayer (MGM), Starbucks, Louis Vuitton, Disney, Amazon and Unilever. Our objective is to maximize your potential and enhance your One Two Trade trading experience, that’s why we provide such a humongous collection of stocks. 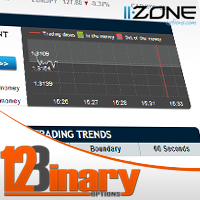 You can also find in One Two Trade’s asset index the most traded currency pairs like EUR/USD, EUR/GBP and EUR/JPY. Currencies from the growing economies such as Russian Ruble (RUB), Turkish Lira (TRY) and South African Rand (ZAR) are also added in our list. Presently, a total of 19 currency pairs are available in our asset index. We will feed you with the latest scoops in the global markets thru our Daily Market Analysis, featuring the current market trends as well as the Assets to Watch for today. This is to give you an idea on which assets are currently being traded the most and to keep you informed with the market movements. We are continuously updating our daily market and One Two Trade reviews just to give our traders the freshest financial One Two Trade news. You can also delight from our all-encompassing collection of indices, among these are the popular S&P Futures, NASDAQ and IBEX Futures. Choose to trade among our 19 global indices, which is again among the highest number of indices offered among the rest of the platforms. If you’re a commodity pro, we currently have 7 commodities available for you to trade. These include coffee, gold, oil, platinum, silver, sugar and wheat. Traders can take advantage of the today’s top traded assets shown in our homepage or trade their chosen assets from One Two Trade asset index. We believe that the higher the number of assets to trade in, the chances of earning goes higher as well. That’s why aside from our ongoing promotions, our ever-growing collection of assets to gives you limitless opportunities to boost your bank balance. We continue to expand our asset index giving you the opportunity to invest in different markets. Should your favorite asset is not included in our list, send us your suggestions thru e-mail and when we will do our very best to add your chosen asset in our asset index.